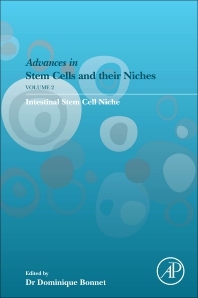 Advances in Stem Cells and Their Niches addresses stem cells during development, homeostasis, and disease/injury of the respective organs, presenting new developments in the field, including new data on disease and clinical applications. Video content illustrates such areas as protocols, transplantation techniques, and work with mice. Dominique Bonnet is a Senior Group Leader at the Francis Crick Institute. She is also Professor at the University College of London and a Senior Lecturer at the Institute of Child Health.